Yes....As mentioned in the last post, J-4 has had its effect on the Northern parts of the Sub Continent. 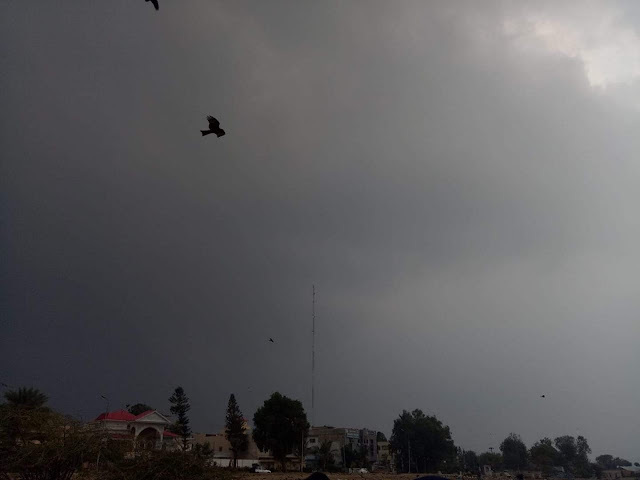 Maximum recorded in Karachi (AP) was 22.1c. on Monday and Minimum 12.1c Tueday. In India, Delhi had lashing rains and hail...Some figures Palam 23 mms, s'Jung 15 mms, , Nareala and Ridge 14 mms as on Tuesday morning.. In H.P. Shimla, Manali, Kufri, Narkanda are witnessing heavy snowfall since morning. 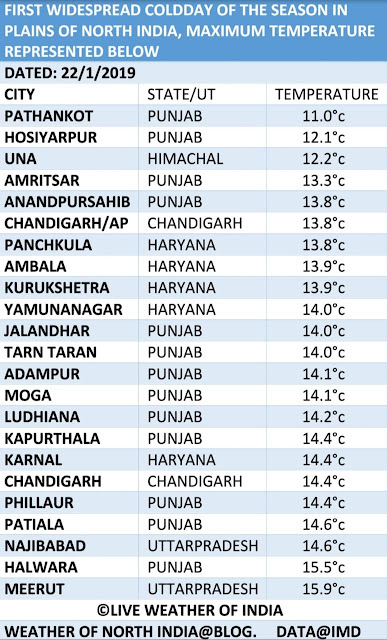 Manali 17 mms, Shimla 18 mms ...Max 12c and min 0.7c. Keylong saw a max of 0c and a low of -8.6c. In Kashmir, Gulmarg had 28 mms of snow, with a max of -2.5c and a min of -4.0c. Pahalgam received 18 mms of snow,. Jammu had 43 mms of rain. Srinagar had a high of 4.5c and a low of 0.2c with 14 mms precipitation. 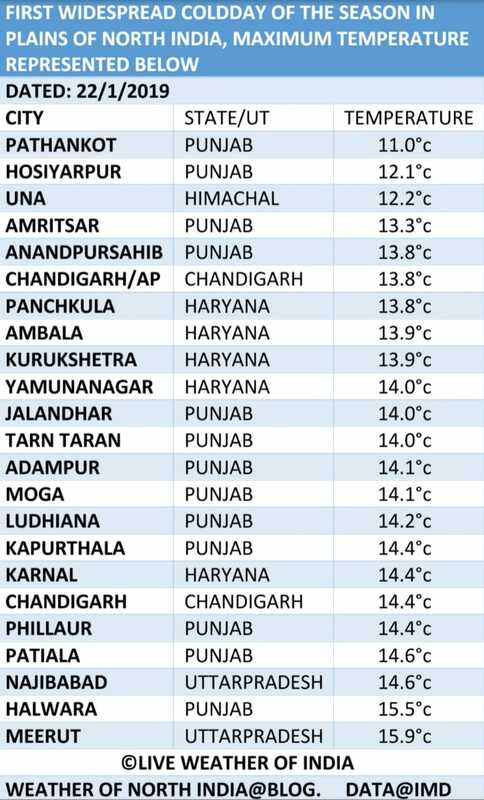 In Punjab, Pathankot had 94 mms of rain, Ludhiana 54 mms and several places between 10-20 mms. Mumbai: Tuesday and Wednesday will see few clouds in parts of city. Maybe a few drops in one or two areas...Cooling down to 12-14c in Scruz by Thursday and days will be cooler around 27c. 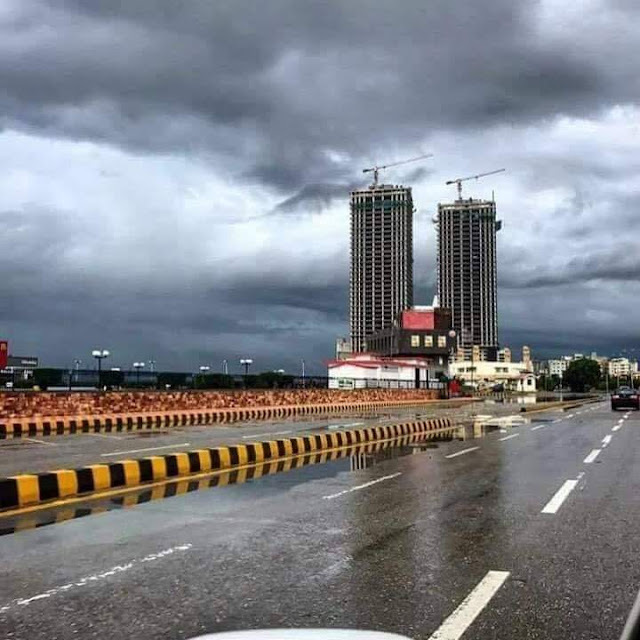 Cool and pleasant weather till Friday. Pune has started cooling , with 10.8c as the Low on Tuesday. Further cooling by 2/3c expected next 3 days till Friday.Days will be around 27c. Rain (Trough effect from Induced Low) will be possible in Marathwada and Vidharbh on Saturday 26th...more later. 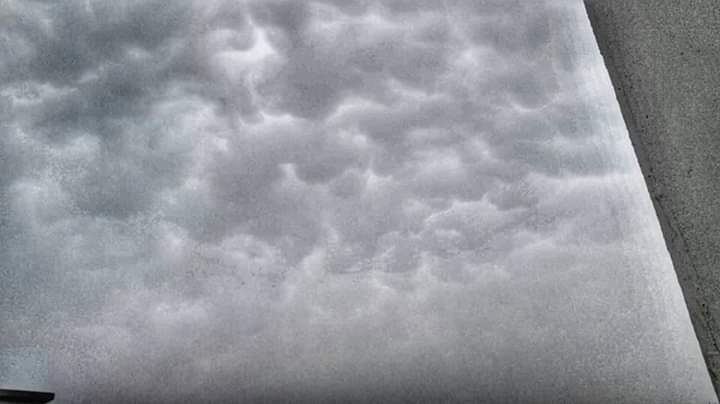 It was a great spell with huge thunder bolts..
what abt next wd fromm next thrsday?